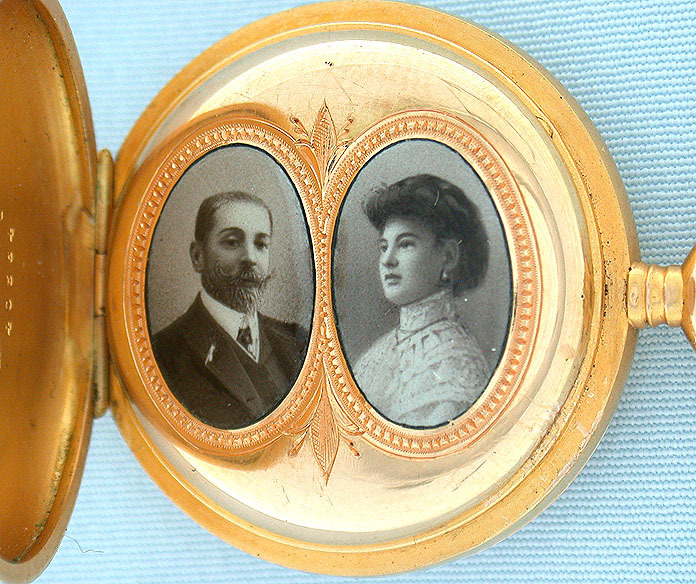 Fine 18K gold, engraved and painted Swiss enamel ladies antique pendant watch with two portraits on the dust cover by Haas, Geneva, circa 1890. 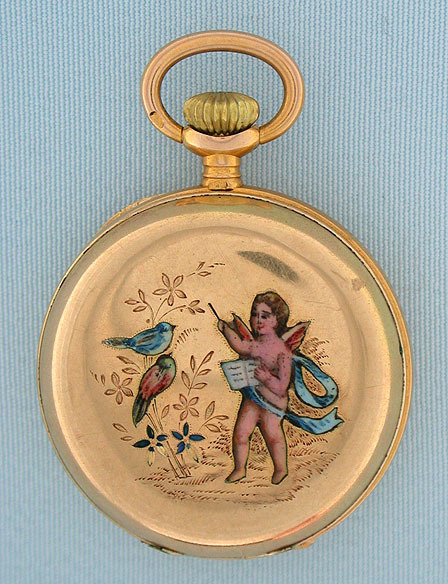 The cover with a charming painted enamel scene of a cherub teaching the birds to sing. 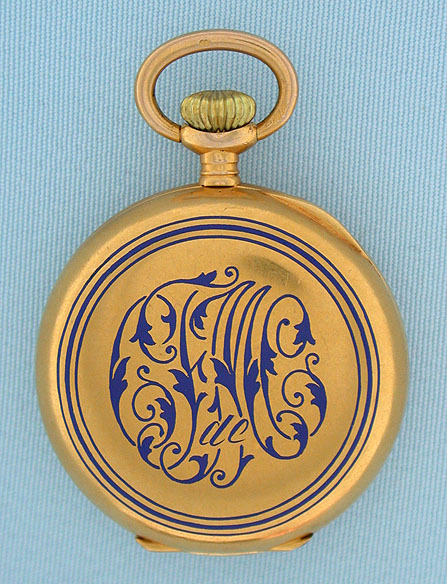 The back with an elaborate enamel monogram. 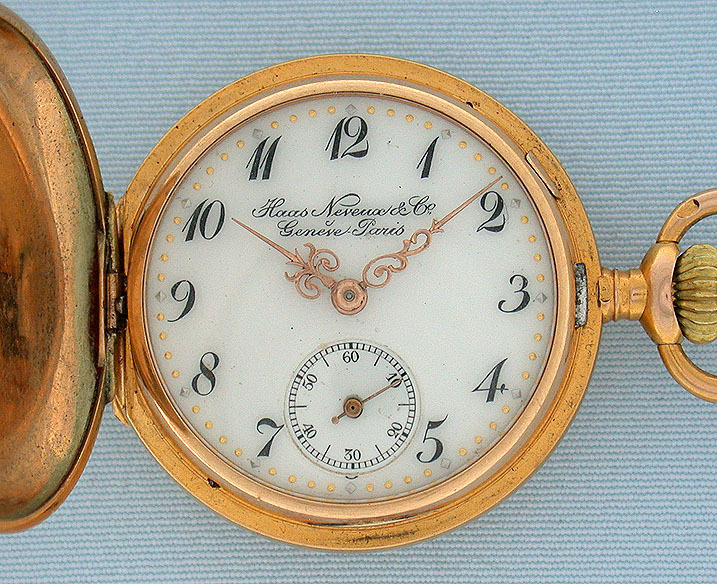 The fine white enamel dial with fancy gold hands and gold and silver minute markers. The dust cover with two particularly fine portraits. 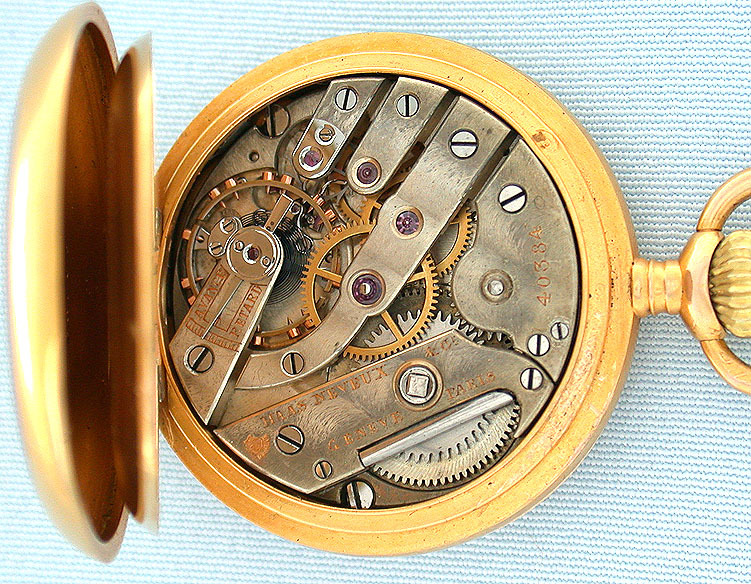 First quality 20 jewel nickel movement with counterpoised lever.